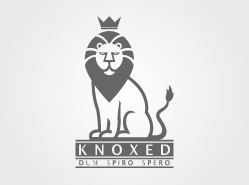 Knoxed Ltd. is a company, whose foundations were laid with long-term vision and a clear goal, bridging the gap between manufacturers and the clients, through vertically integrated systems and sourcing competencies. The company was founded by a diverse and multicultural pool of innovative business and technology graduates, whose efforts were catalysed by the opportunity of starting operations in Oxford, a city known for worldwide innovation. A truly innovative start-up, Knoxed was rapidly able to evolve from a small scale business to a global company with operations in the UK, Germany, China and India. Initial operations were in the field of RFID technology, aimed at the POS systems market, and with steady growth the company diversified its operations portfolio to become one of the leading global High-End Audio equipment suppliers. One of the core competencies of the company was not to get cornered into a strict B2C or retail business model, and through strategic planning Knoxed has managed to create a distribution network equally suited at selling to the end user or B2B. It was this ability to cater for all types of clients that provided the trigger for the launch of UKHDMI and Knoxed E-Trade, our new and fully integrated sales systems, one for retail and the latter for our trade partners.